Just to clear things up for any confused non-native speakers of English: a marshmallow in French is a guimauve and in Spanish and Catalan una nube and un núvol, which translates directly as ‘a cloud’, a lovely poetic way of describing this light, fluffy and springy delightful sweet. Apparently in Italian it’s ‘marshmallow’ (really?!). Anyway I lined some up for a photo. Spot the naughty one and the half-eaten one. The original sweets were made using the sap or pith of the medicinal marshmallow plant, and they date as far back as ancient Egypt where they helped ease sore throats! Early 19th century French confectioners pioneered the innovation of whipping up the sap and sweetening it to make something similar to our modern marshmallow. But they got a bit tired of extracting then whipping up sap and started whingeing so in the late 19th century French manufacturers thought of using egg whites or gelatin instead and combining them with modified corn starch to create the chewy base. 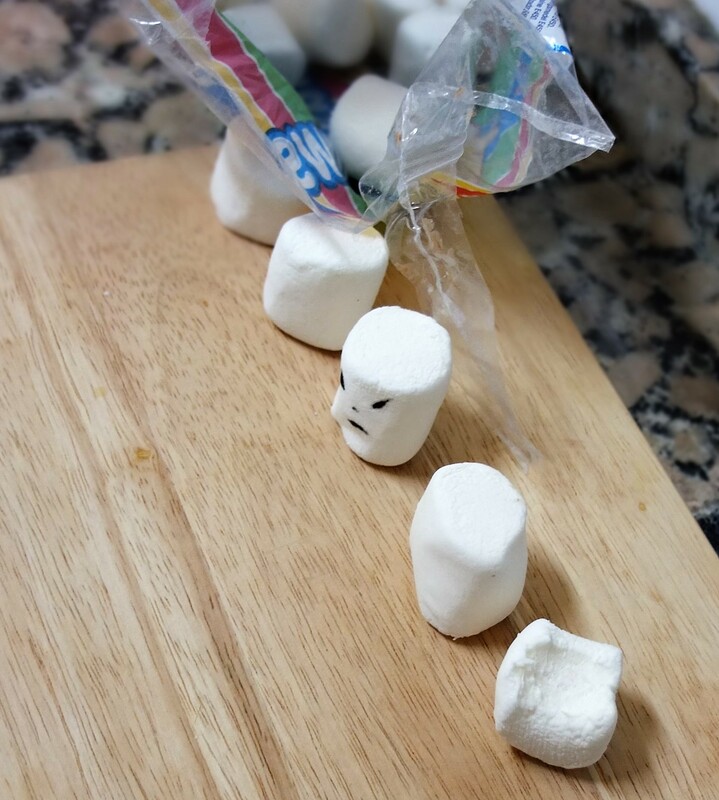 And that’s how sweetmakers stopped desapping the marshmallow plant. But of course these yummy sweets still bear its name. Yay for Althaea officinalis! (its latin name, not quite as catchy as ‘marshmallow’. Can you imagine saying ‘Would you like an Althaea officinalis’?!). I was in a rush so drew the icing details on with a toothpick, thus giving the snowmen a very ‘destroyed’ look, poor things. Quite effective in a way but next time I’ll pipe so they can have bigger smiles. By the way, half the biscuits are made with icing sugar and the other darker half with ground coconut sugar, which is a little healthier and according to my friend yummier. Plus they provide a better visual and tasty contrast to the sweet icing made of icing sugar, water and lemon juice. I’ve also made my second Christmas fruitcake of the year (the first one’s already a goner). And it’s in the shape of a Christmas pudding, baked in a lovely 20cm diametre demi-sphere (semi-sphere) de buyer mould ordered from Amazon France. The tin was greased with butter then floured and the cake came out perfectly, which was a big relief. Phew. The plan is to make my first anti-gravity cake! Yes, an anti-gravity Christmas pudding cake!! Just have to wait another week or two for the cake to mature. 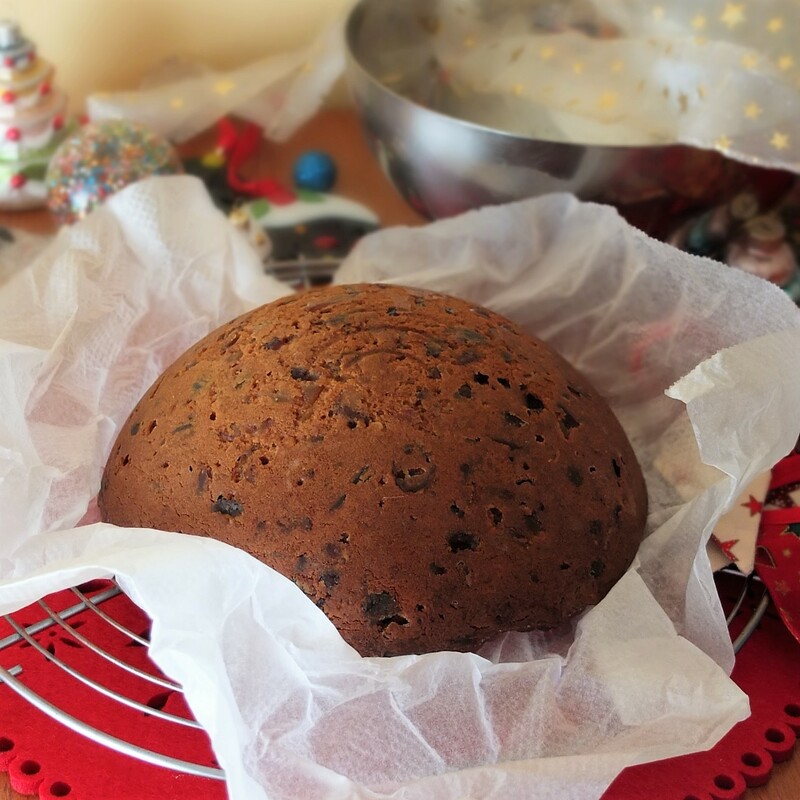 There’s a recipe up on Lakeland’s website for Christmas Pudding Pouring Cake if you’re interested. 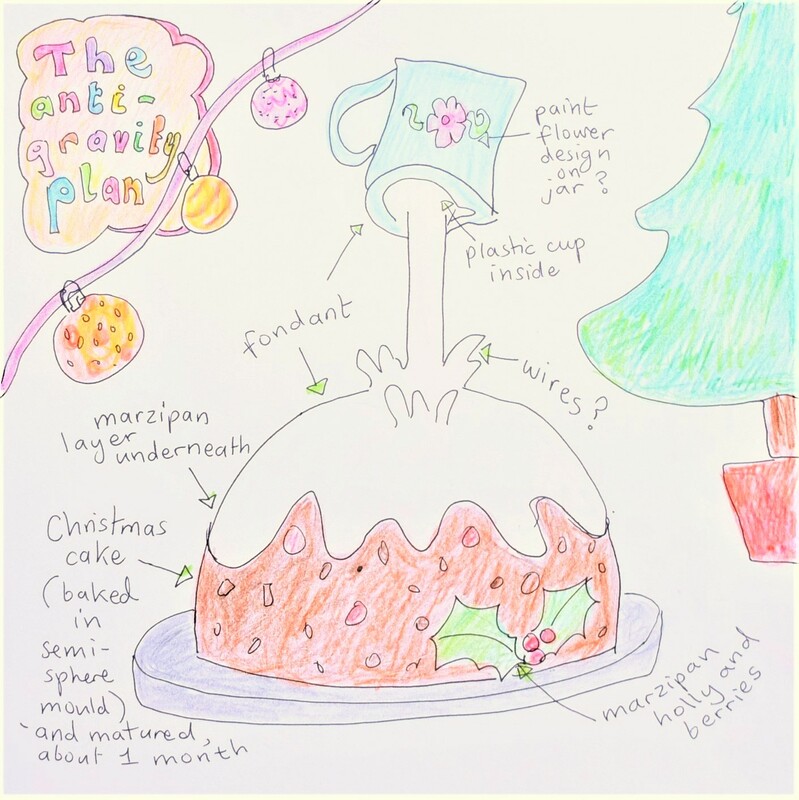 I’ve used my own Christmas cake recipe then will follow Lakeland’s assembly instructions for their Anti-Gravity Pouring Cake Kit (yes, one day I’ll buy a drill and make my own structure). Hopefully there’ll be a post with step-by-step photos and the illustrated recipe. Fingers crossed. If disaster strikes there’ll be a little cartoon of me despairing over a collapsed very-gravity cake. 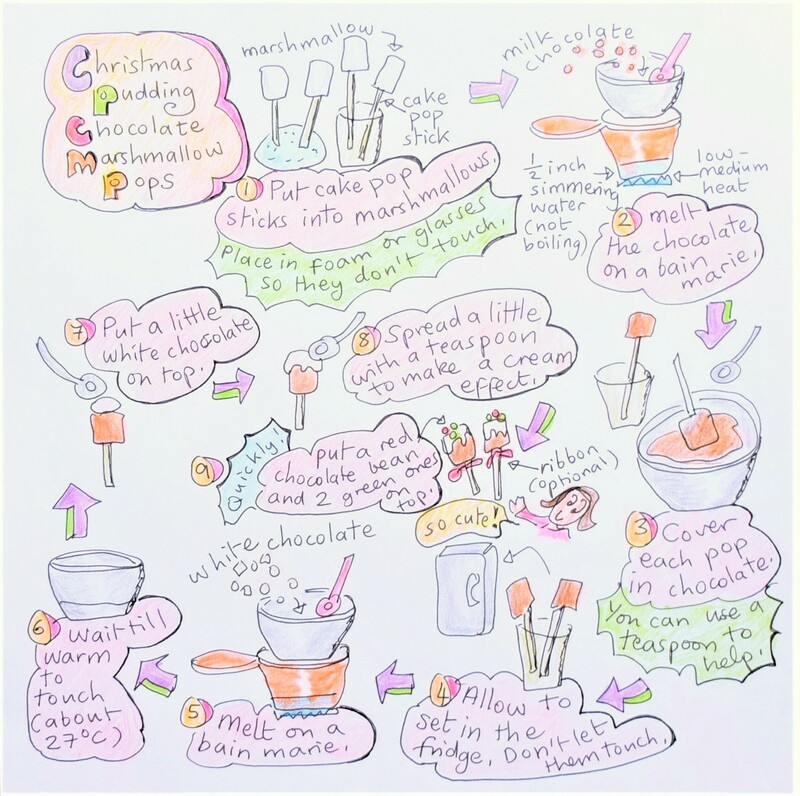 Meanwhile, here’s how to make those super yummy and moreish Christmas pudding marshmallow pops. 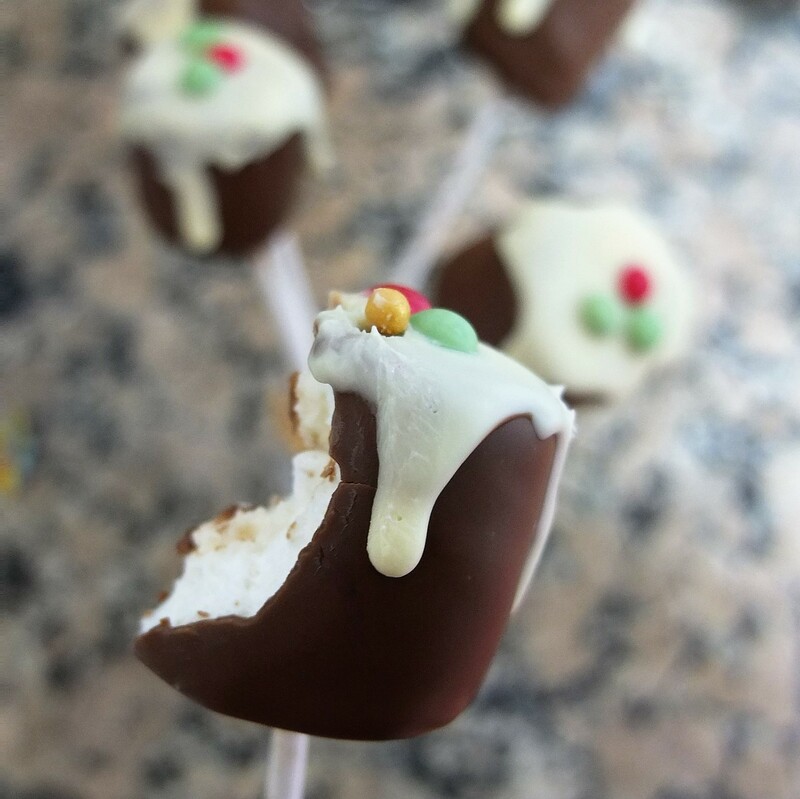 I followed the recipe for Christmas marshmallow pops by bake.play.smile so please go there for exact measurements and microwave instructions. 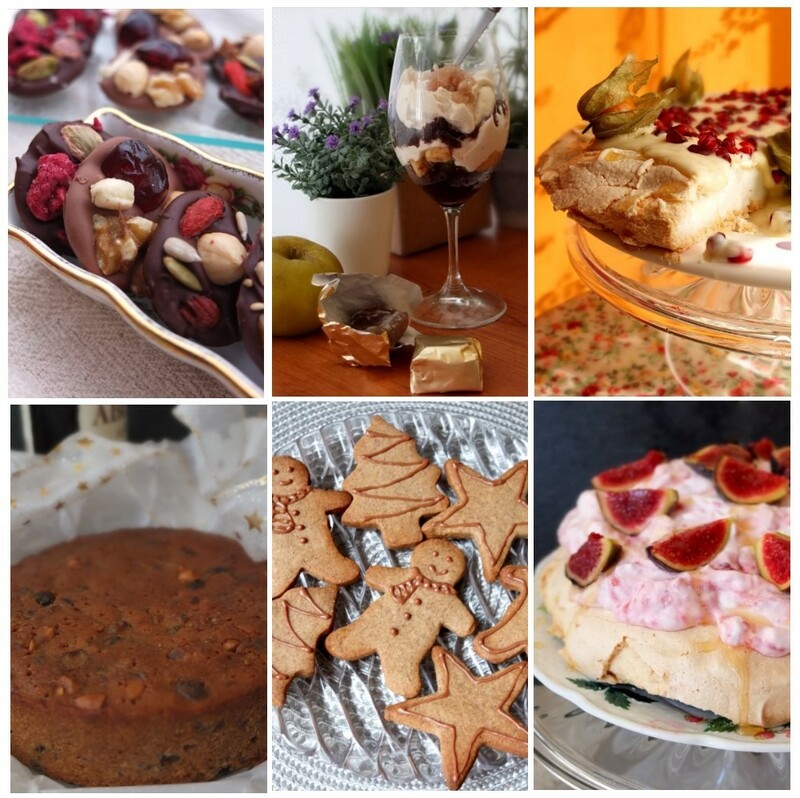 You’ll also find lots of other exciting Christmas recipes on Lucy’s blog! I have no microwave and wasn’t in a measuring mood so my quantities are a bit grandma-like (approximate). The red ribbon is optional. As Lucy from bake.play.smile says, you can put each pop in a little plastic bag tied with a ribbon as a present. By the way, good-quality milk chocolate (like the delicious Cocoa Barry Papouasie 35% I used) instantly up-grades your lollipop to a gourmet treat! Yum yum. You can check your marshmallows are gluten-free. And I hear there are vegan milk and white chocolate, plus vegan marshmallows like Dandies (I haven’t tasted these but they have great reviews on Amazon). 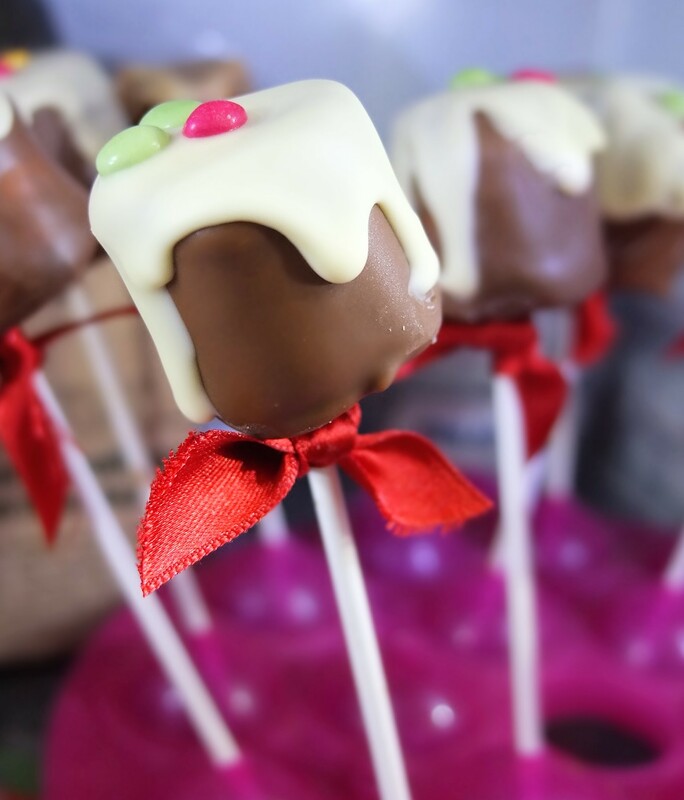 It could also be an idea to make these lollipops with healthier dark chocolate and sugar-free white chocolate (Torres make a lovely bar here in Barcelona). Personally I’m trying to eat just 2 or 3 a day as part of my diet. Note the use of the word ‘trying’! Small heavy-based pan with a small glass or metal bowl that rests on top (but doesn’t touch the bottom, leaving a space of at least 1 and a half inches/3 cm) – for the bain marie. Spreading the white chocolate on the milk is a little tricky but it gets better with practice. You might need to wipe some dripping chocolate with a paper towel. It’s a lot easier when the chocolate has cooled to just tepid warm (27 degrees celsius). I would practise more before making these with kids! I used a cake pop mould to hold my marshmallow pops but had to be very careful moving it around so kept it in the fridge and took the pops over to it. Here they are chilling out. Mine were stored in the fridge but you could keep them at room temperature if it’s cool and dry, in plastic or an airtight container. For optimum results, so the chocolate doesn’t melt in your hands or on contact with plastic, you could temper your chocolate. This isn’t necessary but you could consider it if giving them as presents. 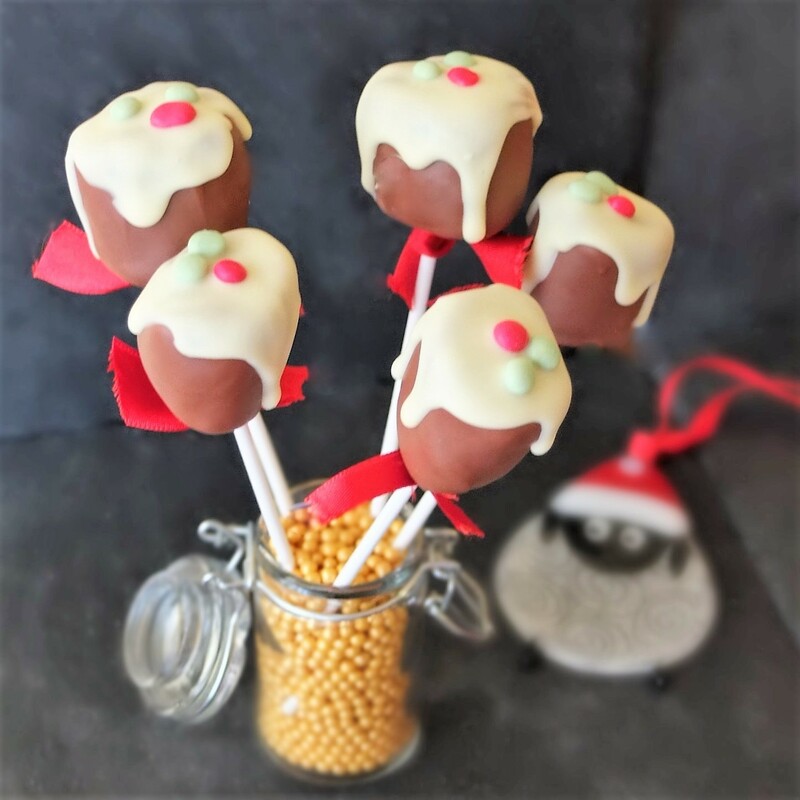 I’d like to share my marshmallow pops and other healthier gluten-free Christmas treats with Free From Fridays hosted by Emma@Freefromfarmhouse and Mel@lecoindemel. 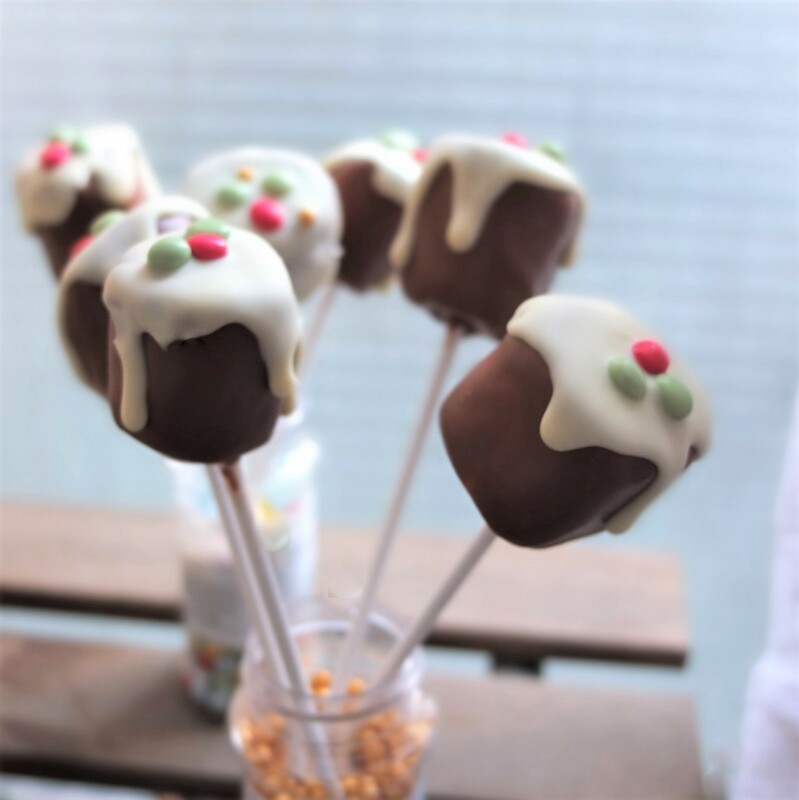 Have a chocolate marshmallow pop! 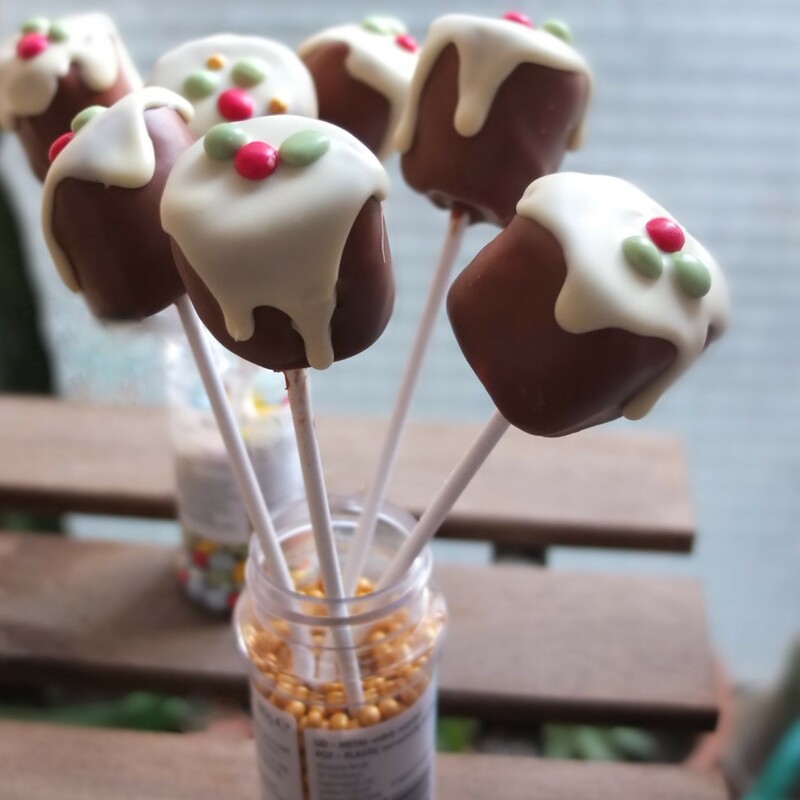 I love your marshmallow pops, they are so incredibly cute and they’re going straight on Pinterest 🙂 I love the fact you did some research about marshmallows, that’s dedication! My great-nan in France used to buy medicinal marshmallows from the pharmacy when I had a sore throat. I loved being sick he he! Thanks for joining in with #FreeFromFridays. You have a beautiful blog so rich in contents and create cooking!! Thank you Lili. I am glad to find your blog too. Much to learn from you. Looking forward for more amazing posts. Aw thank you again Sumith. See you soon! Awww! 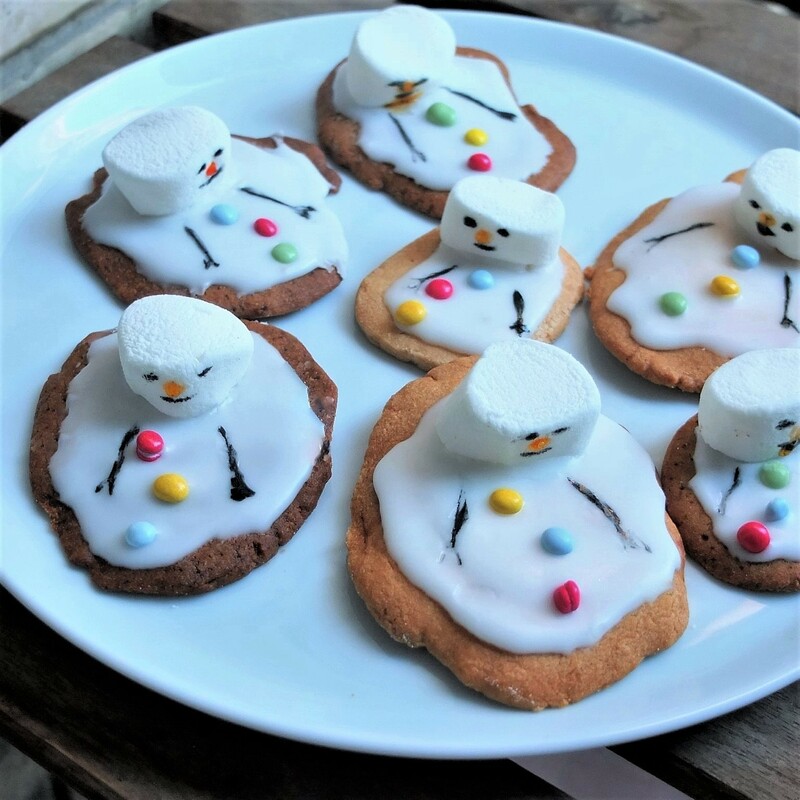 The melted snowman biscuits are so cute! It’s a very original and funny idea. I would delay eating them because I would like to admire them for a while before doing so. 😀 Have a great week!